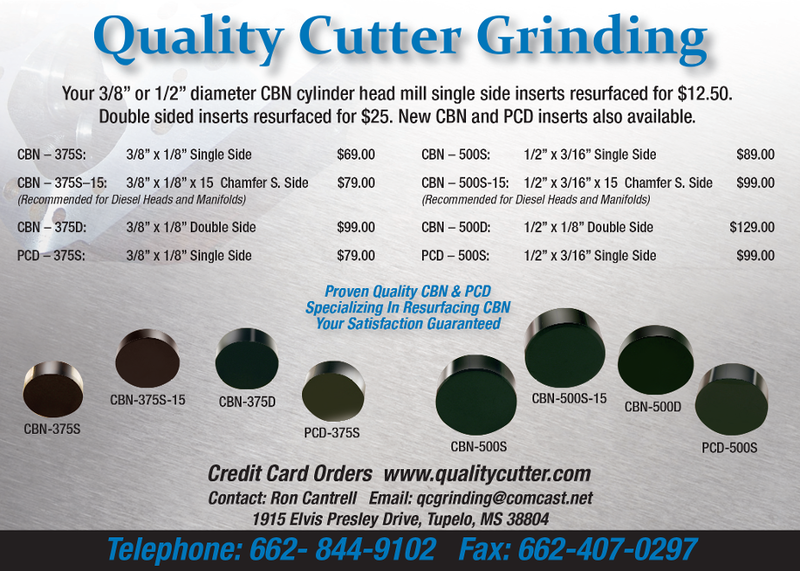 Quality Cutter Grinding sells new CBN and PCD Inserts and also resurfacing of your CBN Inserts. Get the right CBN and PCD inserts for your machining needs. Contact us today for more information about our competitively priced cutters. Quality Cutter Grinding is a tool and cutter grinding company in Tupelo, Mississippi, that provides CBN and PCD cutting tools for engine rebuilding companies. With more than 40 years of experience and business acumen, we take pride in providing CBN and PCD cutting tools at a very competitive price. Our products are used for resurfacing engine cylinder heads and blocks. As a family owned and operated business, we understand the importance of providing personalized and professional service to our customers, so you can count on us to deliver top-notch products and services for your machining needs.